Join us this summer for Vacation Bible School! What will the children learn? The theme is Te Deum and focuses on the true worship of God in receiving His gifts and in coming to Him in prayer. 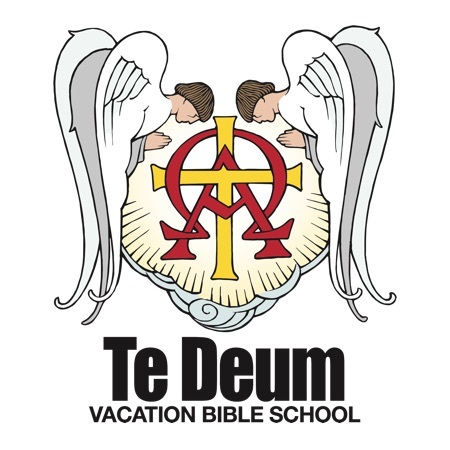 The "Te Deum" is the ancient hymn of the Christian church, "We praise You, O God!" Our goal is to strengthen our little ones in the faith of Christ that we confess in the Te Deum and teach them to call upon that True God for all our needs of body and soul. What else will we do? In addition to learning God’s Word, children will enjoy music, crafts, recreation, snacks and many other fun things! (if accompanied by a parent/guardian) to 6th grade! Looking forward to seeing YOU at Vacation Bible School!